Pascale is an experienced leader with nearly 30 years in the Pharma, Medtech and Diagnostics industries, a former CEO of a major GE healthcare business and a former EVP of Sanofi with multi-$Bn P&L responsibilities. Pascale has a proven track record in strategically repositioning businesses, driving operations that will deliver results and change, and recruiting and developing talent to lead a business. Pascale has built a reputation across the healthcare sector for vision, strength and effectiveness by achieving growth through implementing new strategies and driving operational success. Pascale was born in Basel, Switzerland and educated in France earning a Master’s degree in Life Sciences and Engineering. After two years as a PhD student, she joined Becton Dickinson for the next five years, before completing her MBA at INSEAD.Pascale held a number of executive positions at GE Healthcare during her 17-year tenure, most recently (2009-2013) serving as President and CEO of a $2Bn pharmaceutical business (Amersham Health, acquired by GE). 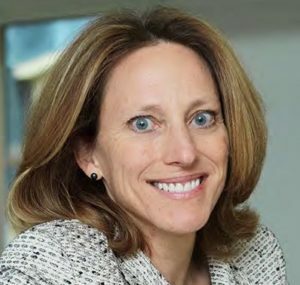 In 2013, she became a member of Sanofi’s Executive Committee, and headed the Pharma and Consumer Healthcare Divisions, and in 2015 became the head of the Global Diabetes and Cardiovascular Businesses. Pascale serves on the board of Fresenius Medical Care, Savencia, Regulus Therapeutics and Horizon Pharma. She is also a board member of the not-for-profit French American Foundation France. In July 2016, Pascale was awarded the prestigious Knight of the National Order of the Légion d’Honneur of the French Republic. In 2014 and 2015, she was listed as one of Fortune’s Most Powerful Women in EMEA.